When you have a deck, you want to consider aesthetics and long-term care. This means it’s a good idea to familiarize yourself with how a pigment sealer and a stain can vary in terms of how they are used and the finishes they can offer. This way, you get the best results for your home. A pigment sealer is primarily water-based. The pigment can be high in color or very low. In many instances, there is a low pigment, which allows homeowners to show off a natural look of their decking. The pro of these pigment sealers is that they are easy to apply. It requires the surface to be prepped and then it can be mopped into place. The primary con of pigment sealer depends on how clear the sealant is. The darker ones are capable of holding up against the elements more effectively. The lighter sealer may develop mold and mildew. The copper used to treat lumber may actually be able to leach through the sealer. Another con is that the UV rays will tend to break down the water-based sealer over time. There’s also the debate of oil versus a water based sealer. The water-based will go on to either oil or water based coating. However, if the surface doesn’t have any oil in it, then it has to be treated before you can use an oil-based sealer on it. Stains are available in an array of colors and can be mopped or sprayed onto the surface of the deck. The solvent-based stain generally provides a soft gloss, which helps water to bead up on the surface rather than soaking in. The primary pro with stain is that it provides protection to the deck surface for all things, including UV rays, mold, and mildew. 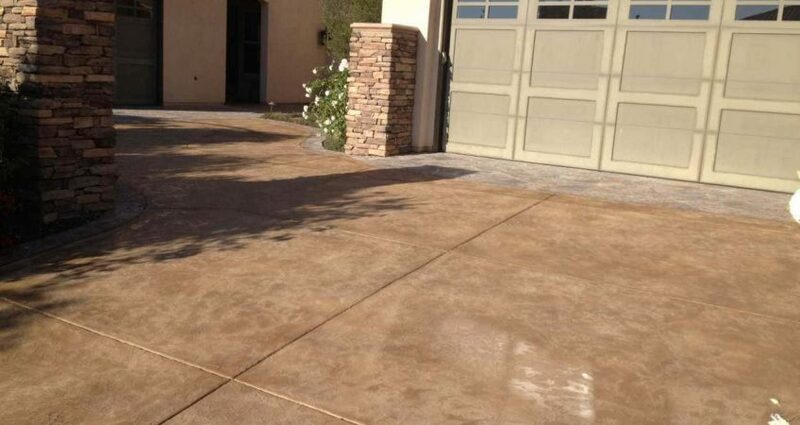 However, a sealer is still needed on top of a stain since a sealer alone will not provide a sealed surface. Stain is also available in an array of colors, making it possible to control what the final aesthetic of the deck looks like. The cons with stains vary based upon whether they are oil-based or water-based. For the most part, the stains are going to be waterproof and prevent mold and mildew. However, there are some brands that have poor reputations for holding up against the elements for more than a year. Sealer and stain are similar in many ways, providing a way to protect decks from the environment. The type of surface that the stain or sealer goes onto is going to have an impact, as well as what brand of product is purchased. This means that it is beneficial to do some research in order to look at what’s going to provide the best results. Take the time to do your own research based upon the kind of wood you have as well as the aesthetic that you want to achieve. In some instances, it may even be best to do a sprinkle test where you test out the deck surface to see if you want to stain it, paint it, or seal it. Testing the surface with the options can also ensure you know what you’re going to get when you ultimately do the entire deck. After all, you want to be happy with the final results. In the end, it can also be beneficial to have a professional company handle the install. This way, you can benefit from their recommendations based upon the type of finish that you would like. There is also more of a warranty when there is a professional application. To learn more about our pigment sealers and stains, contact Pli-Dek Systems today.